KXD appoints new South Asia Regional Director to brave the South Asian market! On November 20th, KXD officially announced the appointment of Khaja Muzaffarullah as Regional Director for South Asia, responsible for the markets of India, Sri Lanka, Bangladesh and Nepal. Mr. Muzaffarullah will report directly to Mr. Zhang Haijun, the CEO of KXD Mobile. 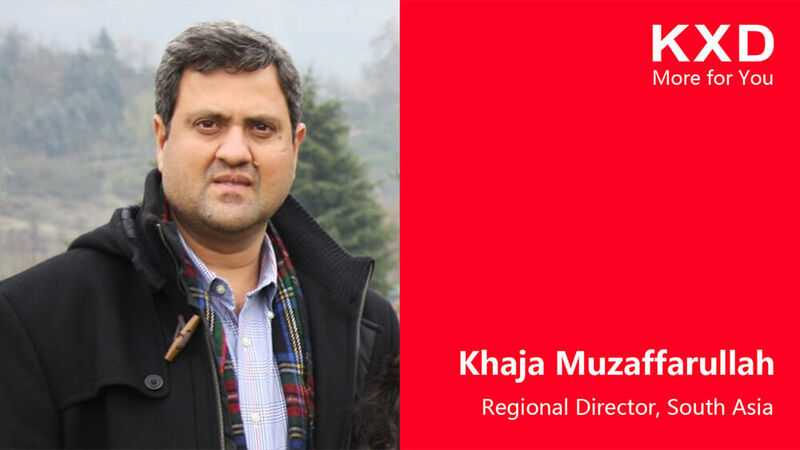 An official KXD Mobile spokesperson pointed out that Mr. Khaja Muzaffarullah has a deep understanding and rich experience in the South Asian mobile phone market, and is particularly good at launching relatively unknown brands in these markets and making them count. Mr. Muzaffarullah will lead the KXD mobile phone South Asia team to build a broad and influential brand network in the world’s most populous region, helping the brand become a globally influential smartphone brand. It is reported that the KXD Mobile will target India as its center market for South Asia in the future, and establish a network covering the surrounding countries including Sri Lanka, Bangladesh and Nepal. The brand will simultaneously expand online and offline. Online channel will be major local e-commerce platforms and third-party e-commerce platform brand official stores, while the offline channel will be agent and distributor model. In terms of marketing, KXD Mobile is cooperating with top marketing agencies including MeetSocial as the global marketing partner to launch a comprehensive full-dimensional marketing strategy.